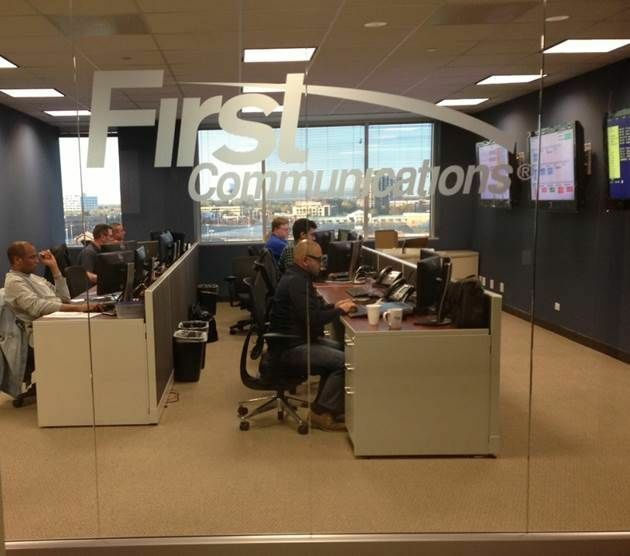 First Communications offers a suite of proactive network management and monitoring services designed to keep your critical network resources up and running. These services are available individually or combined to suit your specific business requirements. Our Certified Network Engineers are based in our State of the Art Network Management Center (NMC) based in Oakbrook, IL. They will notify you before problems occur, and will assist in the resolution of any issues that they encounter. Our Network Management Center proactively manages your Firewalls and Routers, ensuring peak performance and availability of your network. Our Proactive approach disarms network threats before they become reality. Provides additional layers of information and defense of your valuable network resources. Let your IT staff work on value added projects, while our Certified Network Engineers proactively manage and monitor your network infrastructure. Stay ahead of demands on your network before you reach capacity. We proactively manage and monitor backbone equipment and facilities at both layer 2 (data) and layer 3 (network). Need to Simplify Demands on IT Staff? Out Network Engineers are specialist in network management, which is one skill set that you can acquire without the need to hire or train staff. Get statistics on your networks: throughput, traffic, performance, operability, and capacity. Our experienced and responsive Certified Network Engineers experts stop problems before they occur, and offer superior customer support whenever you need it.